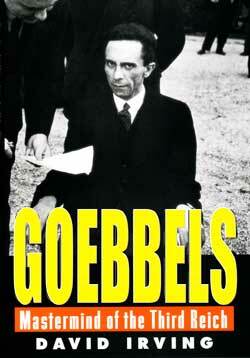 This book tells the Real History of Adolf Hitler’s doctors, based on the remarkable secret diary of his physician Professor Dr Theodor Morell and other papers. The Morell Diaries vanished in 1945, but turned up in 1981 in the National Institutes of Health, Maryland, USA, which transferred them to the National Archives. 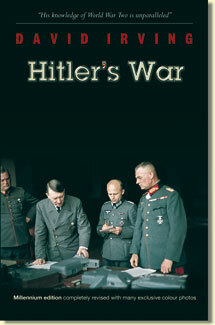 What diseases laid him low in 1941 and 1944 - at crucial moments in his nation’s history? 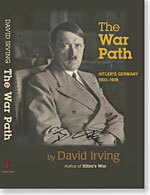 British historian David Irving was the first to find, identify, transcribe, translate, and publish these vital records. 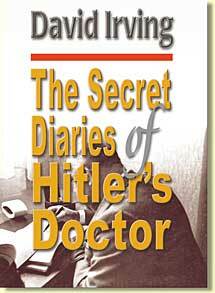 The extraordinary diaries of Hitler’s doctor and the accompanying dossier on his “Patient A” refute many wartime legends about Nazi Germany’s dictator.